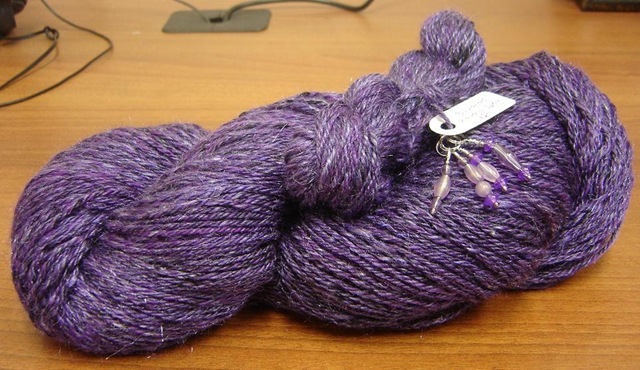 Yarn Candy Monday: Purplelicious 3-Ply! The journey was a very fun one too :) This was my first time using a Corgi Hill Product (though I've been checking them out and drooling over their goodies for some time now...) and it definitely won't be my last! 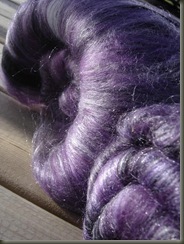 The merino, silk, firestar blend was just too much fun! The finished product was a little bit more sparkly than I would have liked for myself, but it sounds like the yarn will be just perfect for what the client had in mind. I can't wait to see what she makes from it! 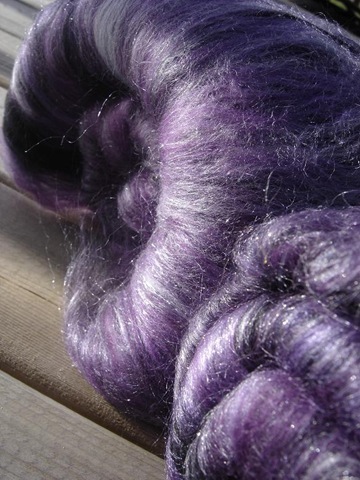 Oh my gosh, that's SO beautiful -- and I'm not really a purple girl. I'll be back to check out your other yarn-i-ness, for sure!